India Post Recruitment 2019: India Post Office / www.indiapost.gov.in is conducting recruitment processes to fill 8,890 vacancies. As of now, there are six recruitment drives going on for Apply Online for 4442 GDS Posts, Apply Online for 4392 GDS Posts and others. 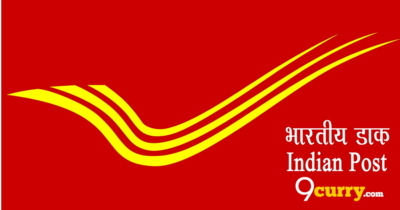 Tamilnadu Postal Circle Recruitment 2019 - Apply Online for 4442 GDS Posts in Tamilnadu Postal Circle, Tamil Nadu. Online Applications are invited by Tamilnadu Postal Circle, India Post from 15 Mar 2019 to 28 Apr 2019 for 4,442 vacancies. Odisha Postal Circle Recruitment 2019 - Apply Online for 4392 GDS Posts in Odisha Postal Circle, Odisha. Online Applications are invited by Odisha Postal Circle, India Post from 15 Mar 2019 to 28 Apr 2019 for 4,392 vacancies. Bihar Postal Circle Recruitment 2019 - Job notification for 35 Postal Asst/ Sorting Asst, Postman & MTS Posts in Bihar Postal Circle, Patna, Bihar on Direct Recruitment. Applications are invited by Bihar Postal Circle on or before 25 Apr 2019 for 35 vacancies. AP Postal Circle Recruitment 2019 - Apply Online for 46 MTS Posts in Department of Post, AP Postal Circle, Vijayawada, Andhra Pradesh on Direct Recruitment. Online Applications are invited by Andhra Pradesh Postal Circle, India Post from 31 Jan 2019 to 28 Feb 2019 for 46 vacancies. AP Postal Circle Recruitment 2019 - Apply Online for 22 Postman/ Mail Guard Posts in AP Postal Circle, Andhra Pradesh on Direct Recruitment. Online Applications are invited by Andhra Pradesh Postal Circle, India Post from 31 Jan 2019 to 28 Feb 2019 till 11:59 PM for 22 vacancies. Mail Motor Service Madurai Recruitment 2019 - Job notification for Staff Car Driver Post in Department of Post, Mail Motor Service Madurai, Tamil Nadu. Applications are invited by Mail Motor Service, Madurai on or before 11 Apr 2019 till 05:00 PM for 1 vacancy.